Vinay K. Prasad, MD, MPH is a hematologist-oncologist and Assistant Professor of Medicine at the Oregon Health and Sciences University. He also holds appointments in the Division of Public Health and Preventive Medicine, and as a Senior Scholar in the Center for Health Care Ethics. He is nationally known for his research on oncology drugs, health policy, evidence-based medicine, bias, public health, preventive medicine, and medical reversal. Clinically, Dr. Prasad specializes in the care of lymphoma patients, and attends on the leukemia/ lymphoma services. Dr. Prasad’s work has demonstrated that many medical practices, promoted and advocated for decades, are ultimately shown not to work. These reversals typically occur when we adopt new therapies based on incomplete or inadequate studies. Dr. Prasad has also demonstrated that the high cost of cancer drugs is not explained by rational factors, that media coverage of medical articles preferentially covers lower levels of evidence, that industry sponsored randomized trials have substantial bias, and that many current medical practices have no convincing proof of efficacy (e.g. IVC filters). Dr. Prasad and Dr. Adam Cifu (University of Chicago) are authors of Ending Medical Reversal: Improving Outcomes, Saving Lives (Johns Hopkins University Press, 2015). Dr. Prasad’s work was covered extensively in a profile in the Portland Tribune, and in the Atlantic magazine. Dr. Prasad is a graduate of the University of Chicago Pritzker School of Medicine, where he was awarded the Chairman’s Award in Internal Medicine. He is also a graduate of Johns Hopkins Bloomberg School of Public Health and completed his undergraduate at Michigan State University, where he was commencement speaker for the College of Arts & Letters. 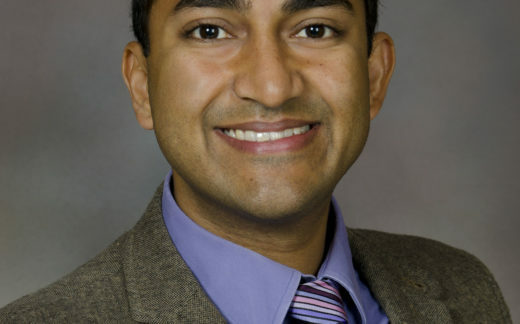 Dr Prasad trained in general internal medicine at Northwestern University in Chicago, where he received the Gerald Grumet award for best resident teacher, and completed his fellowship in Hematology and Oncology in the joint program between National Cancer Institute, and National Heart, Lung and Blood Institute both at the US National Institutes of Health, where he served as Chief Fellow. While at the NIH, Dr. Prasad was also a Cancer Prevention Fellow. Dr. Prasad is the author of more than 160 peer-reviewed articles and 35 additional letters or replies in many academic journals, including Nature, the British Medical Journal, the Journal of the American Medical Association, JAMA: Internal Medicine, JAMA: Oncology, the Mayo Clinic Proceedings, the Journal of Clinical Oncology, Nature Reviews Clinical Oncology and the New England Journal of Medicine. His work has been widely covered by news outlets including the New York Times, USA Today, Time Magazine, the Wall Street Journal, NPR and Forbes.